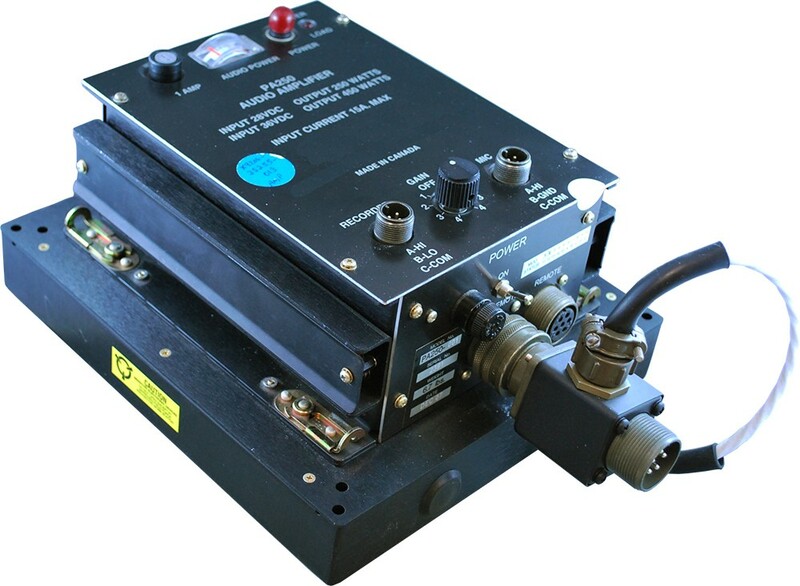 A trusted communication solution for light and medium turbine helicopters. AEM's 400-watt Public Address and Siren System is designed for special-mission aircraft that require a rugged and reliable public address system with voice and siren functionality. Our 400W legacy system has been the standard for light turbine helicopters such as the B407, B429, AS350, and MD500/600 Series. Use of our VR33-001 DC power conversion device increases the nominal 28 Vdc aircraft voltage to 33 Vdc using high-speed switching DC-DC conversion. Installation of the VR33-001 voltage converter directly beneath the PA250 boosts the output power from 250W to 400W with no additional installation material required.